I posted a couple of days ago my astonishment at finding lots of moths visiting my flowers at dusk, and assumed that until I could set up a trap I wouldn’t get a chance to photograph them and show you how gorgeous some of them are. Well I was wrong. Throwing the ball for Daisy this afternoon, I spotted this flitting into the grass. 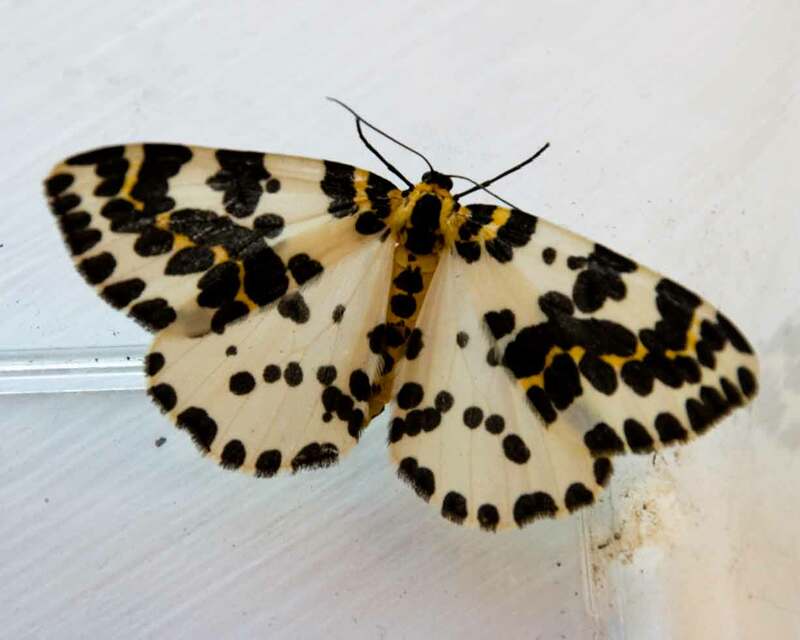 A Magpie moth. How stunning! Apparently, according to my book, they do sometime fly during the day, and here’s the proof. Moths can be beautiful, just like their daytime counterparts that we call butterflies. Have you spotted any in your garden? What could you do to invite them in?